With an aim to fulfill variant requirements of our prestigious clients, we bring forth a comprehensive spectrum of Gas Range. We manufacture these products using premium quality raw material that is procured from reliable sources and sophisticated manufacturing techniques. To ensure quality and durability, our products are rigorously tested by our quality controllers on various quality parameters. In addition to this, our products are acclaimed for their trouble free functionality. Owing to a modernized infrastructure team of skilled experts, we are engaged in offering supreme quality Dosa Plate. The offered product is manufactured using premium grade raw material and cutting-edge technology to meet the international quality standards. 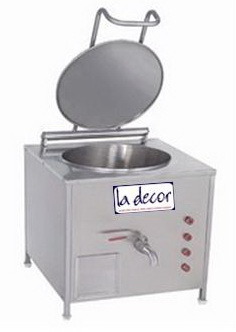 It is widely used in hotels, restaurants for preparing dosa. Our offered product is thoroughly tested on different quality parameters by our quality controllers assuring its precise work. Packaging Type As per requirement like wooden Cart or box packing. We are offering optimum quality Dosa Tawa, which is highly durable and of excellent quality. 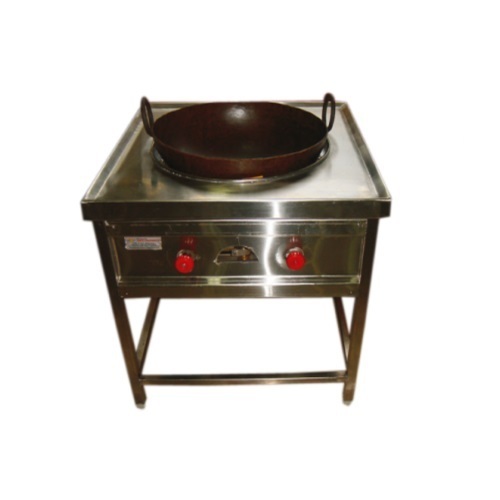 Manufactured by using high-grade raw material, this Dosa Tawa is in sync with international quality standards. 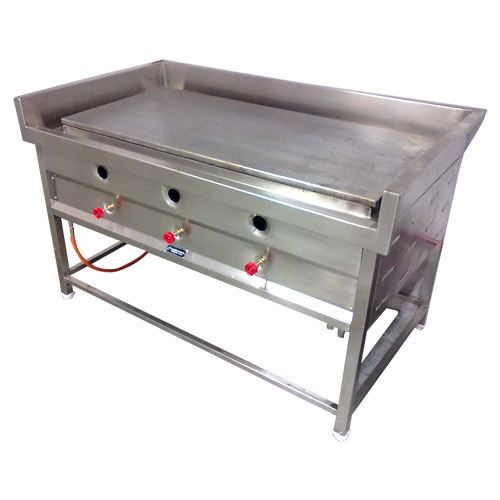 Our qualified quality controllers ensure to test this Dosa Tawa on various parameters before supplying this to our clients. Packaging Details: As per requirement like wooden Cart or box packing. We are a prominent manufacturer and supplier of superior quality Chapati Plate Puffer that is manufactured with the help of supreme quality raw material and contemporary tools as per the set industrial norms. These are used for making chapati in various hotels and restaurants. Further, our offered products are highly appreciated by our clients for long service life and reliability. 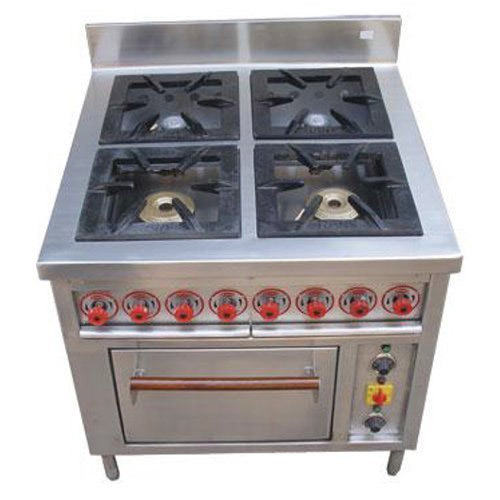 We are engaged in offering a wide range of Chinese Burner Gas Range, which is extensively used in hospitals, restaurants, hotels and commercial kitchens. These burners are made of fabric. We deliver these products to our customers after the finally testing of quality. We offer these in three categories. These are corrosion & abrasion resistant. 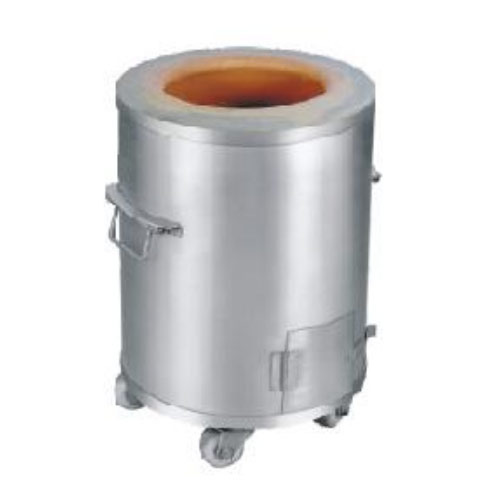 In order to cater the diversified requirements of our clients, we are also engaged in offering a wide range of SS Tandoor. These products are manufactured using top-grade base material bought by the reliable vendors of the industry. These products are good conductor of heat and are highly demanded by our customers. We make available to our clients Bulk Cooker that assures safety, accuracy and hygiene while cooking food. These cookers are manufactured using high grade material as per the specified industry standards. Furthermore, these cookers save 40% of fuel and time during cooking. 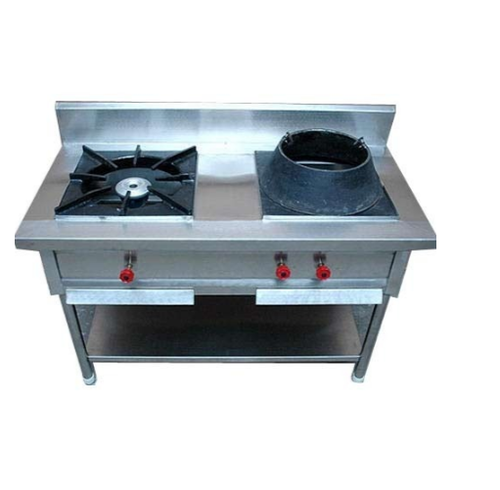 These cookers are available in different sizes and capacities to meet the different industrial requirements.We make available to our clients Bulk Cooker that assures safety, accuracy and hygiene while cooking food. These cookers are manufactured using high grade material as per the laid industry standards. Furthermore, these cookers are saves 40% of fuel and time during cooking. 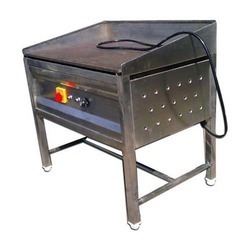 Furthermore, these cookers are available in different sizes and capacities to meet the different industrial requirements.We make available to our clients Bulk Cooker that assures safety, accuracy and hygiene while cooking food. These cookers are manufactured using high grade material as per the laid industry standards. Furthermore, these cookers are saves 40% of fuel and time during cooking. Furthermore, these cookers are available in different sizes and capacities to meet the different industrial requirements. 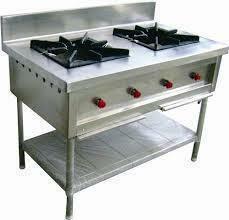 We are operating as a leading manufacturer and trader of Double Burner Gas Range in the industry. 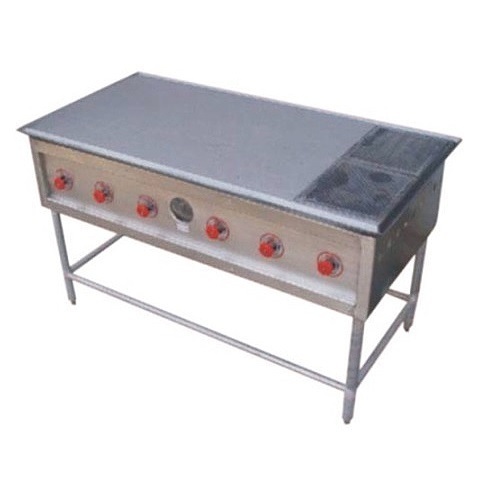 The offered gas burner is made from high quality metals and is user-friendly. It is used for in restaurants and canteens. This gs burner is meant for decreasing the downtime of work and increasing productivity. We are engaged in offering a wide range of Stainless Steel Dosa Plate. The Stainless Steel Dosa Plates manufactured by us a uses a thick mild steel plate for preparing a dosa. It is fabricated using high quality stainless steel to ensure qualities like durability, high performances, long services life, and reliability and efficiency. Covered with stainless steel on three sides of the dosa plates ensure no grease sticking. The range of dosa plates offered by us has been widely appreciated by the customers. These plates offered by us are available at reasonable prices in the market. 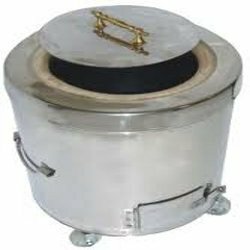 Owing to the dexterous professionals, we have been able to provide the customers with a commendable assortment of Stainless Steel Tandoor. 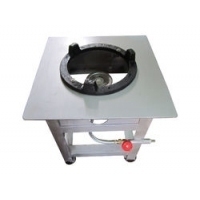 We offer tandoor, which are ideal for kitchen that are manufactured using optimum-grade raw material and other necessary components that are obtained from reliable vendors of the industry. Further, these products are manufactured in adherence with the international quality standards. 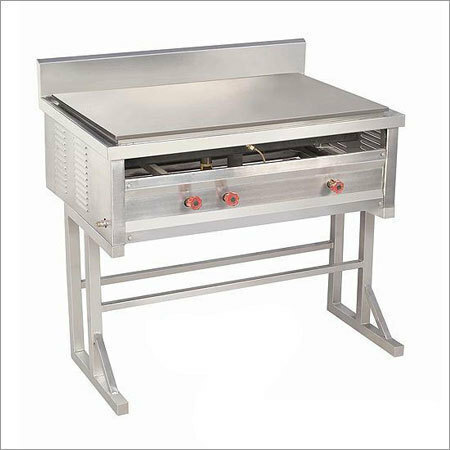 We are one of the leading manufacturers and suppliers of a humongous range of Single Burner Gas Range. These products are manufactured using high grade raw material and latest technology & machinery. Our products are offered at market leading prices to meet the financial constraints of our customers.